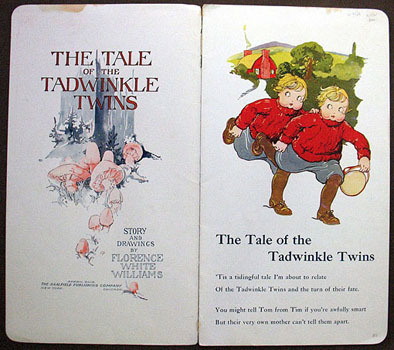 The Tale of the Tadwinkle Twins. Akron, Ohio: The Saalfield Publishing Co., (1919). ￥16,000 (税込み) 35 x 19.8 cm. 12 pp., with full color illustrations on every page. Covers stained and spine torn.